There is an entire universe of information about your brand being shared online - where 90% of all customers and potential customers go to learn about your business. Now, you finally have all the tools necessary to monitor, measure and manage it - with one powerful system. 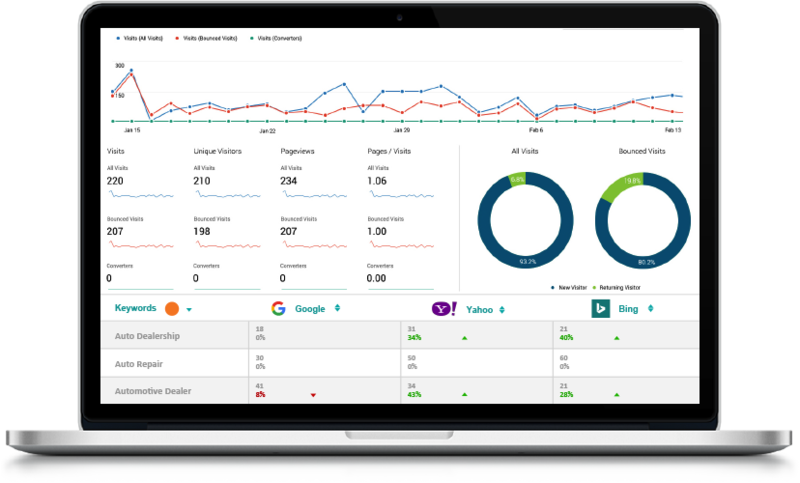 Boost online ratings, manage reviews, SEO and location listing management, sentiment analysis, local search optimization, social media management and more. All in one exceptional platform and dashboard. Our innovative, industry-leading dashboard delivers full-spectrum oversight and control of your Brand's online reputation, ratings, reviews, SEO analytics, customer sentiment - and so much more - all in one place. Manage your own program, or have our experts manage it for you. Your online Ratings and Reviews are critical - they dictate where your locations appear in local searches (most customers don't scroll past page 1) and they tell everyone if you're even worth visiting. Now you can review and respond to all rating comments in one place. And, with the powerful Review Booster, you can literally drive positive reviews to the rating sites while steering negative reviews away from them. If you are at all concerned about your online reputation - these are must-have resources. Our adaptive Artificial Intelligence - the Sentiment Analysis Engine - works nonstop scanning billions of online comments about your brand, identifying what people are talking about, how they feel about it - and brings it all to you - in ways no person (or team of people) ever could. And our Social Media Analytics system brings your Twitter, Instagram and Facebook comments to you - heatmapping your hotspots, tracking trending hashtags and catching all posted media for you to see and address. These same tools are also an excellent resource for keeping tabs on your local competitors too. Local Search is King. 76% of shoppers using a local search site will visit the business within 24 hours and 95% of searchers will find the store they need without ever having to scroll past the first page of results. Where you appear - and under which keywords - has a huge impact. Our Rank Tracking allows you to see exactly where you stand and gives you the tools to improve. Location Listing accuracy is also critical - if you are listed incorrectly, no one can find you. Our Location Listing Monitoring system is ever vigilant for errors and listing problems - tells you where the problems are - and gives you the tools to fix them.